‘Getting away from it all’ is made simple in this beautiful timber A-frame. The cathedral great room, dining room and kitchen capture all the outside views. The large 1st floor bedroom, full bath and mudroom area with laundry, complete the 1st floor living design. The spiral staircase leads to a 14’x 18’ open loft with the possibility of a 14’ x 10’ 2nd loft above. 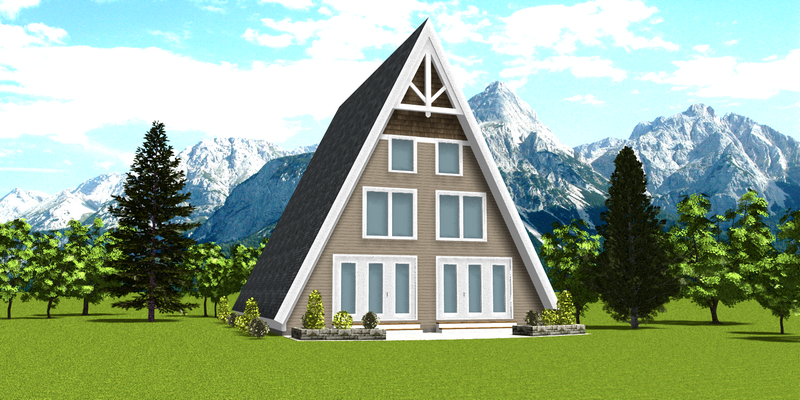 The design options within this chalet will always result in a free-flowing living space.